Independent for over 60 years, Milliman delivers market-leading services and solutions to clients worldwide. With no agenda, other than getting it right. 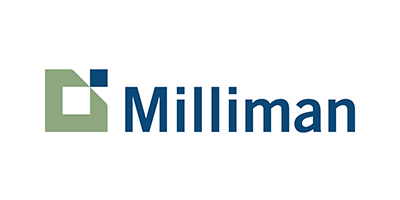 Milliman is among the world’s largest providers of actuarial and other related products and services. Our mission is to help our clients protect the health and financial well-being of people everywhere. Milliman serves the full spectrum of business, financial, government, union, education, and non-profit organisations. In addition to our consulting actuaries, Milliman’s body of professionals includes numerous other specialists, ranging from clinicians to economists. Milliman in Africa is based in South Africa, and serves Sub-Saharan Africa. We have offices in Johannesburg and Cape Town and have assisted clients in South Africa, Namibia, Botswana, Kenya, Ghana, Nigeria, and Ethiopia.